Valentine’s Day may be one of the sweetest times of year! It is also a time when early reading skills are being mastered in the classroom. 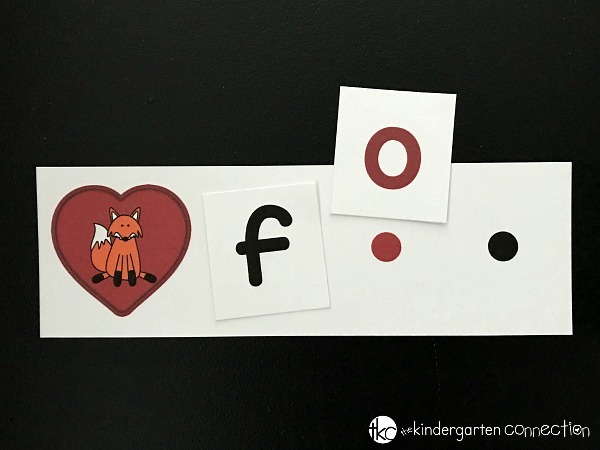 Our Valentine Spelling CVC Words activity combines hearts with letter sounds and building simple words. 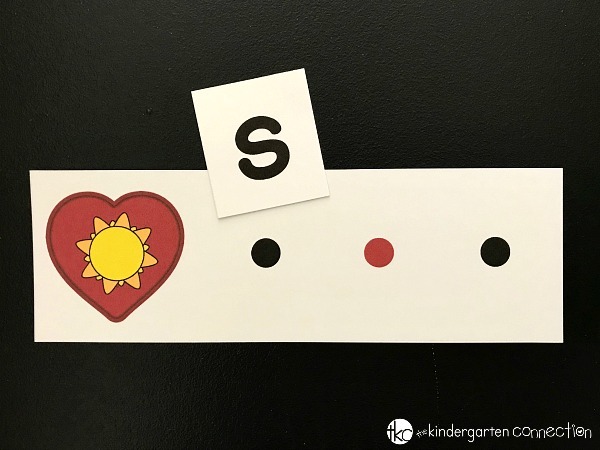 This is the perfect time of year to strengthen letter sounds and blending skills in such a fun way! top, map, fan, sun, web, leg, six, bib, wig, cob, fox, mom, cup, sad, and gum. 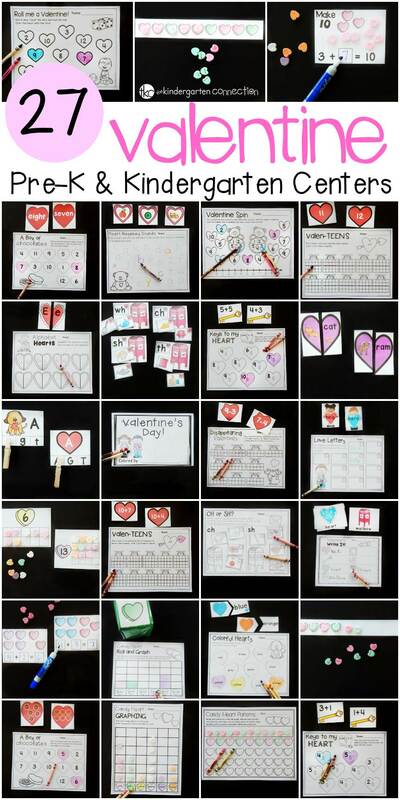 Print the Valentine Spelling CVC Words activity from the file below and cut the cards apart on the gray dotted lines. Laminate or print on cardstock for added durability. It can’t be only my preschoolers who love to bend my printable activity pieces! Laminating is a time saver when working with little kids. Place all of the picture cards in a small basket. Spread the letter cards out on the table to make it easier to find the ones needed. Pick a picture card and identify the word. To begin building the word, stretch out the sounds in the word. First focus on the first sound in the word and find that letter. Place the letter card on the first dot next to the picture. Stretch the word out again to find the second then third sound. Place those letters on the second and then third dots until you have completed the word! Each middle sound in the CVC words is a vowel. To make that more apparent, the second dot is red and each vowel letter is red on the cards. This will help those who have not yet mastered spelling out words to focus on looking for a vowel letter within the pile of 26 letter cards. After the word is spelled out with the letter cards, sound out the word again using the letters used. This will help double check the letter choices as well as reinforce those early reading skills. 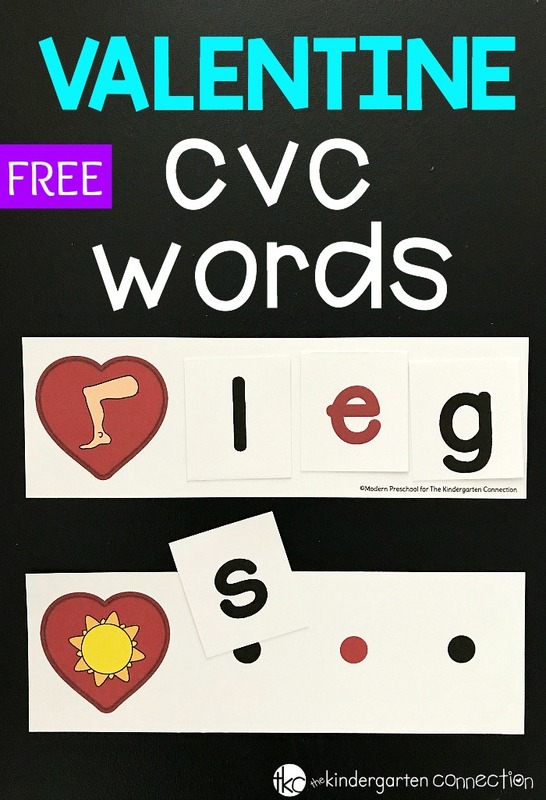 I’m excited to be able to use this Valentine Spelling CVC Words activity with some of my preschoolers. My youngest at home loves playing it, and I love how we just pack it up in a Ziploc until next time. Ready for some spelling CVC words fun? Grab your copy of this fun Valentine’s Day center by clicking the yellow button below. 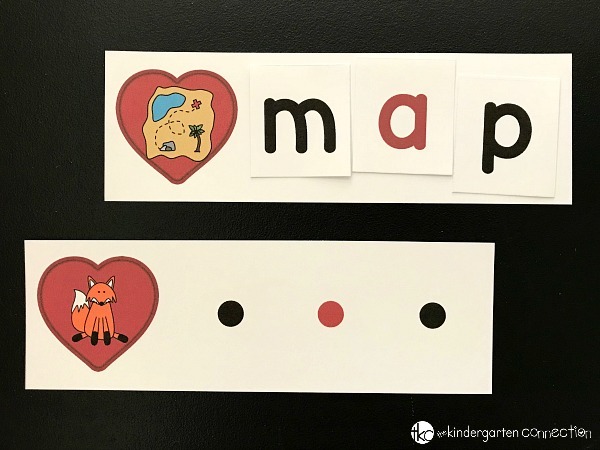 Then, for more Valentine’s Day learning ready to go for you, hop over and grab our Valentine Math and Literacy Centers! I want to thank you for sharing your creative work ideas, by giving away free things for us to share with our students to help them grow stronger in their skills. This really shows passion for the love of teaching/educating students. The way you give special prizes to your subscribers makes you my #1 person I check first to buy things from. I wanted to thank you and let you know that YOU truly make a difference in educating our young ones. Thank you! This is so sweet of you to say! We are happy you are enjoying our resources. Have a wonderful day! Thank you for sharing your ideas. My kids love them and so do I.
That’s wonderful, Sue! We are so happy you and your kiddos enjoy our activities.